The third year of the Wet Leisure Industry Survey saw its results released at the SPATEX event at the Ricoh Arena this week. The 2013 survey received around 15 per cent more responses than in 2012, and as the number of respondents grows, the picture that is revealed about the wet leisure industry becomes more accurate and more useful. The South East, South West and the Midlands remain the UK’s strongest regions, both in terms of the wet leisure industry and their respective economies. By the same token, there should be potential for growth in Scotland although the population density does pose a challenge for businesses. As the number of existing pools, sauna and spa installations in the UK grows, this appears to be reflected in growth in consumables, service and repair and retro-fit products. The top-end of the market remains strong and the budget sector appears to be under the most pressure. Energy saving products are likely to be a large growth area. 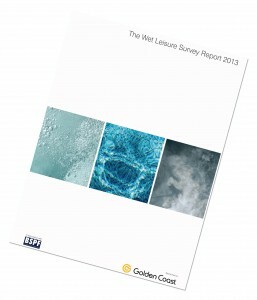 Click here to read the full Wet Leisure Industry Survey report for 2013.